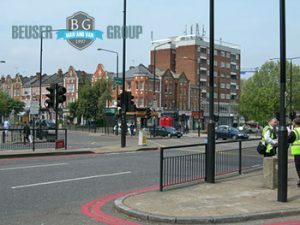 Beuser Group is an experienced and trustworthy business known for offering speedy man and van in North London. We are always able to offer our clients a budget-friendly, hassle-free and smooth moving van experience since our staff is very competent and skilled and our moving vehicles are well-maintained and quite advanced. Our selection of services is also incredible as it features office, domestic and student removals, packing solutions, storage, etc. 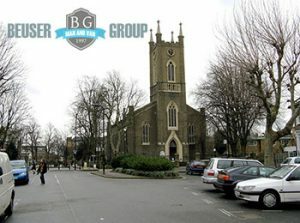 There is very little doubt in our minds that Beuser Group is the leading provider of man and van services in North London. Our staff is carefully vetted and the solutions we offer are suitable for the needs of domestic and commercial clients alike. Feel free to get in touch with our friendly and helpful around the clock client support and learn more about our prices, schedule and incredible fleet of moving vans. Beuser Group’s fleet of vehicles also includes specialised rubbish trucks thanks to which we are able to provide safe and speedy junk collection and disposal services in North London. Our dedicated personnel will help domestic and commercial clients to get rid of waste and any unwanted items in an eco-friendly and risk-free way. The company’s trained and friendly team is properly equipped to remove rubbish of nearly every material, including rubber, wood, plastic and glass. Our premium quality junk clearance service is a great solution for anyone doing a spring cleaning, after builders waste collection, home de-cluttering or household relocation. Contact us now and get your personalised quote for a man and van service in North London. We have MWBs, LWBs and SWBs at our disposal, all kept in prime condition and navigated through state of the art GPS systems to make sure you keep track of your goods while they are on the road at all times. North London is made up of various districts in the boroughs of Haringey, Camden, Hackney, Enfield, and Islington. With a population of nearly 130,000, Tottenham is among the biggest and most heavily populated areas located in the northern part of the English capital. 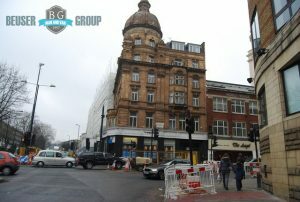 It alone is subdivided into four different areas – Central, North, South and West Tottenham. North London is a very diverse and multicultural place. The districts located on its territory rarely have something in common apart from the fact that the share the same postcode area. Islington, for example, is a lively and densely populated district, which offers an abundance of shops and restaurants to locals and visitors. The districts located in the northernmost part of the city, on the other hand, are known for their vast parkland and golf courses. The leafiest of them are definitely Palmers Green and Finchley. North London even has a rural side. Wood Green, Crouch End and Muswell Hill are among the area’s most tranquil and laidback districts. That and the impressive number of Victorian and Georgian houses attract a lot of families to London’s northern part. A man and van in North London coming from us is the ultimate solution to all your needs and requirements. By using tested methods and efficient tools our movers will gladly make sure that your items are properly disassembled and packed for the road. We will give you not only our full support and expertise, but also useful tips for how to settle down at your new place. Our job is to make your life easier and that is precisely what we intend to do. North London’s most fascinating and stunning attraction is Alexandra Palace. Comfortably sitting between Wood Green and Muswell Hill, this historic entertainment venue resembles South London’s Crystal Palace. The facility was established during the 19th century and apart from offering breath-taking views of London, it features everything from a boating lake and ice skating rink to an entire forest adventure park. North London has one significant benefit over South London – that the majority of the London Underground network is actually located within in. This makes commutes from North London to the City, and other places in the area quite quick and comfortable. It will take you less than half an hour to reach any central district from even the remotest area in North London thanks to the Tube. That’s a comfort many people appreciate. One of the reasons to count on our man and van in North London teams is the fact that we are always here for you. Our flexible and very well tailored schedule allows last minute booking, late night, weekend and bank holiday operations alike. What we want you to know is that whenever you are looking for a cost-effective but very reliable North London man with van service, you can really count on us. One should not forget that the London Zoo is considered a part of North London. Bring your kids there next weekend you are wondering what to do, and you will all have a really swell time. Another notable attraction in these parts of the capital in the Camden Market, where you can find literally anything – crafts, clothing, bric-a-brac, and fast food. The Camden Market is actually in the top five most visited tourist spots in London today and definitely the most famous street market in the capital. North London is very attractive to tourists but it is also the place to settle down permanently in the capital. Some of the best and most desirable suburbs of the city today are actually located here. Actually, the very concept of the modern suburb, it is safe to assume, has been developed namely in this half of the capital. The borough of Enfield in particular has some pretty attractive districts such as Botany Bay, Edmonton and Enfield Chase.